Even NASA's Curiosity rover is taking selfies on Mars. So it's safe to say that the self-taken picture has well and truly escaped gravity. Back here on Earth, selfies and all its facial contortions are now part of our DNA. 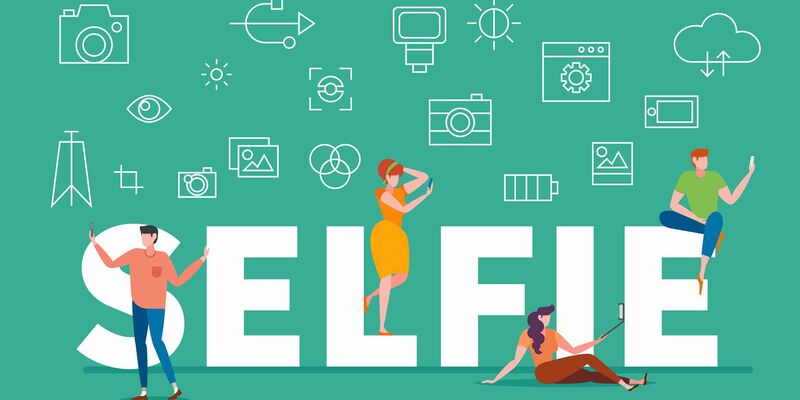 The buffet of selfie apps keeps you hooked as each brings a new way of taking that same old selfie. There are a few quirky selfie apps on the web and the app stores for Android and iOS. Let's look at five unique ones. The NASA Selfies app puts you in a virtual space suit and gives you some of the most stunning space images for the background. You just have to snap your portrait and pick an image. That's fun but the images alone make this an educational app for space buffs. The app was designed by the IPAC Communications & Education group and released on the 15th anniversary of NASA's Spitzer Space Telescope mission. The background images come from the showcase of infrared images collected during the mission. Google Art Selfie will try to match your photo to thousands of portrait artworks online. You just might end up discovering your doppelganger who's portrait is now worth millions of dollars. If not, you might just come to know more about a master painter and his priceless work hanging in a gallery somewhere. Use your selfie in this app and you might feel yourself experiencing a strange new dimension. Think the movie Avatar and you will get the gist of this app's inspiration. You can take a few selfies and transpose them in the reaction GIFs with the help of the app. The GIFs stay the same, the faces get swapped. Morphin says that it isn't like any other avatar creator. It actually uses CGI to optimize your likeness and recreate the animated GIF. It also works as a cool prank tool. The app suggests you can capture your friends' faces and surprise them later with the right GIF at the right moment. As these are early days for the app, I am not sure if it supports duck faces, fish gapes, or even smizing. Try it out. It could help you take better pictures of yourself on your own. What's silliness if you cannot share it with someone. Unifie is a unique selfie camera app that takes the idea even further. You can take a selfie with anyone anywhere in the world in real time. It's just the right kind of app for people in long distance relationships or members of a family separated by distance. It's also a video call app, and you can click a "unified" selfie during the video call with the app. Or you can also take individual selfies on the app and merge the photos without a call. It's a good way to memorialize events in your life. Distance isn't an obstacle. There are more fun selfie apps around but don't forget the basic rules for taking great selfies.